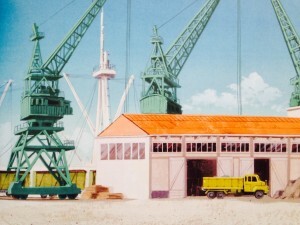 Between 1955 and 1958 Raymond Leblanc‘s Belvision studios worked on several animation adaptations of some of Willy Vandersteen‘s Spike and Suzy albums (that’s English for’Suske en Wiske’ for those wondering) for the Flemish television NIR. Included were “Het Spaanse spook” (“The Spanish Spook”), “De bronzen sleutel” (“The Bronze Key”), “De gezanten van Mars” (“The Martian Ambassadors”) – of which an excerpt in Dutch can be watched below – and so on. 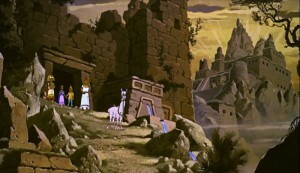 If you’d watch those animation films you surely would notice that the animation was very rudimentary. It was a far cry from what American and Japanese studios were producing at that time. Then again, both Jos Marissen and Karel Van Milleghem – the only 2 people working on those animations at Belvision at that time – had never made animation films before. 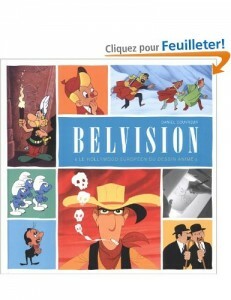 It would only be after the arrival of Flemish animation pioneer Ray Goossens (and old colleague of Bob De Moor at the AFIM studios remember) that Belvision would really grasp the technique. 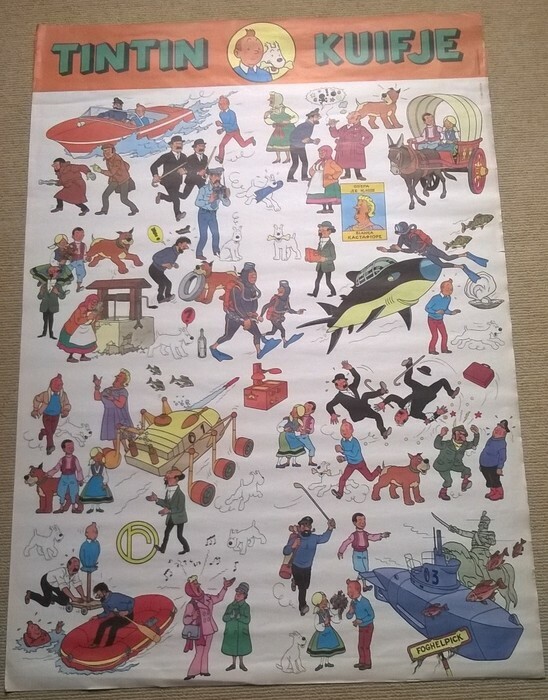 Here’s a part of the Dutch spoken animation version of “De gezanten van Mars” by Belvision as made in 1956. 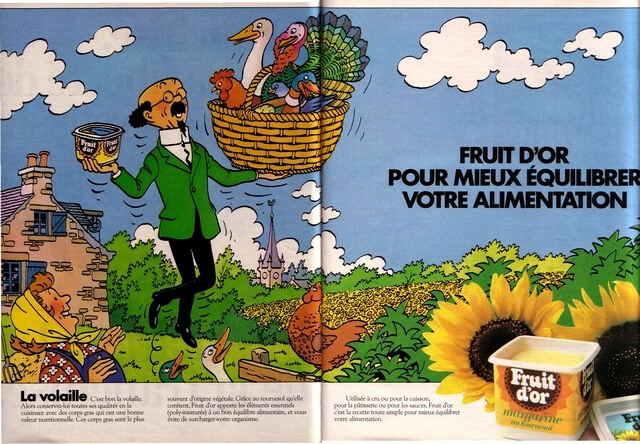 In the series of Fruit d’Or adverts which Bob De Moor completed for Publiart/Studios Hergé, today let’s check out one particular advert featuring Professor Calculus hovering in the air with a hamper of poultry in his left hand and a Fruit d’Or margarine/a cooking butter boat in his right hand (from the perspective of the professor, that is). The second advert can be seen here on the left. 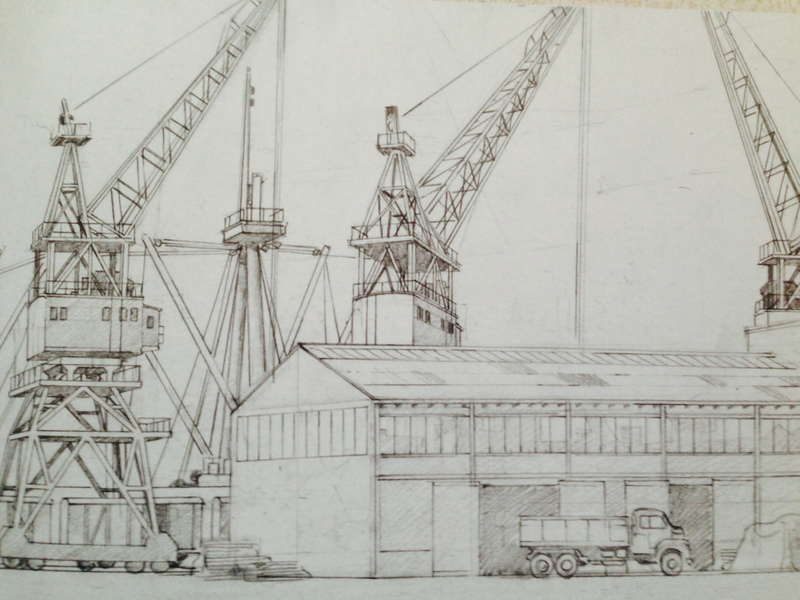 You notice a lot of differences between the two drawings, although on the first sight they seem very similar. 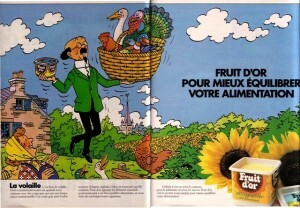 We unfortunately have no exact date as when or in which magazine these ads were found. In case you have these adverts on print, please contact us. overall there has been a different colouring done making this version more vivid. But better scans would help of course to see the complete difference. 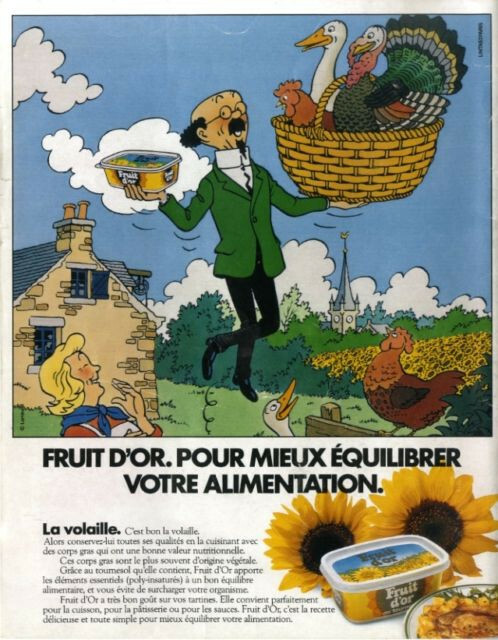 It’s our guess, but we can be wrong, that the margarine version was the final version due to its more elaborated decors and drawings. However, it could also have been directed at different audiences. If we could nail a date on the TV spots we’d have a better idea. 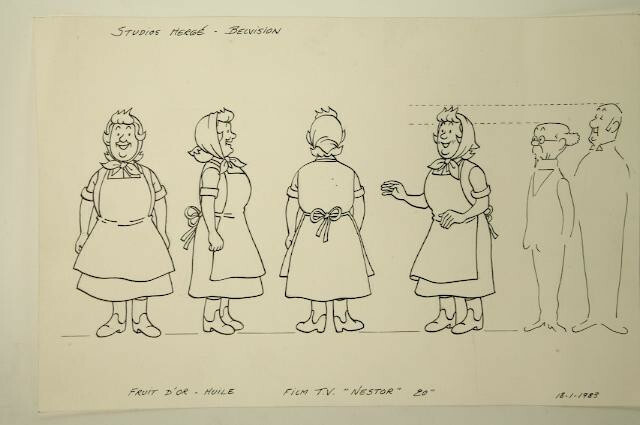 Sure thing is that the peasant woman was drawn for instance in 1983 (see the date on the drawing) by Bob De Moor for a character study by the Belvision team as you can see on the left. 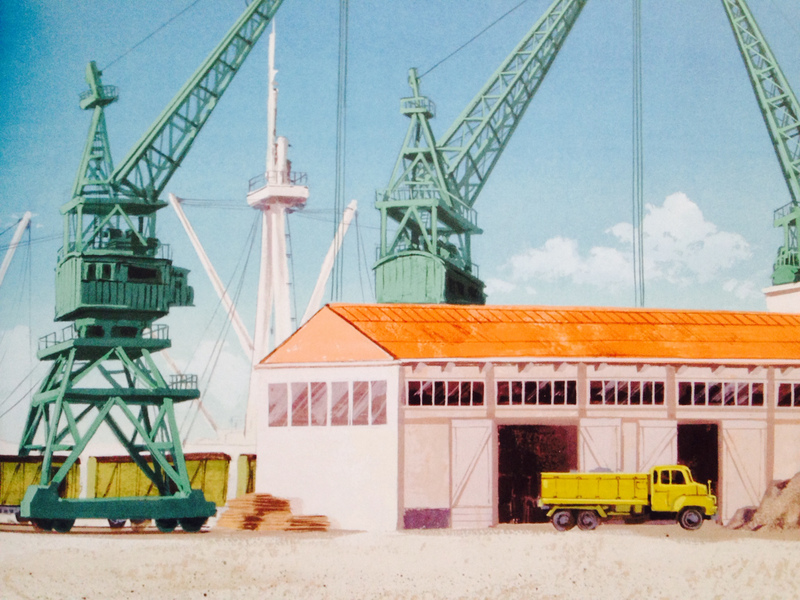 This Tintin & Snowy drawing was completed by Bob de Moor in 1972 for the Studios Hergé. 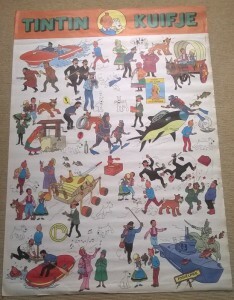 Of course it was made for the “Kuifje en het Haaienmeer” (that’s the dutch title – so you also get to learn Bob’s language bit by bit ) as produced by the Belvision studios. 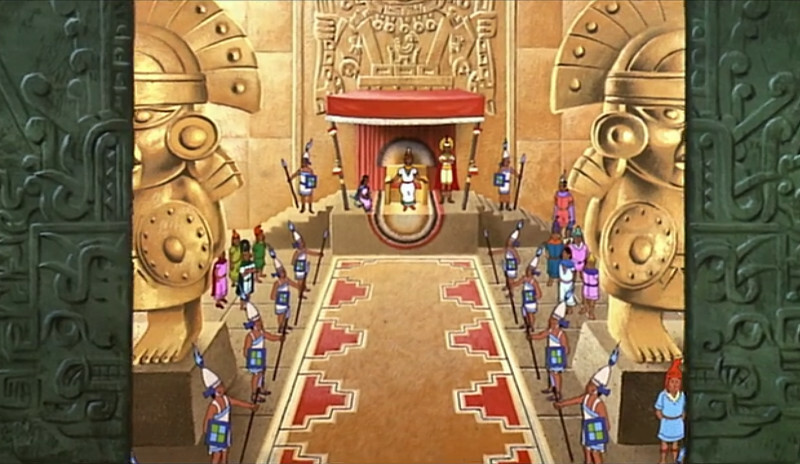 Note again that the different drawing is due to the purpose of the drawing: to serve as a guideline for the animators at the Belvision studios. 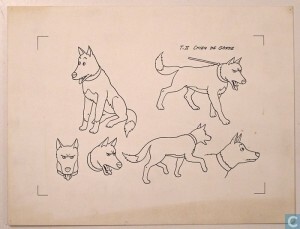 Another test drawing for a dog can be seen here. 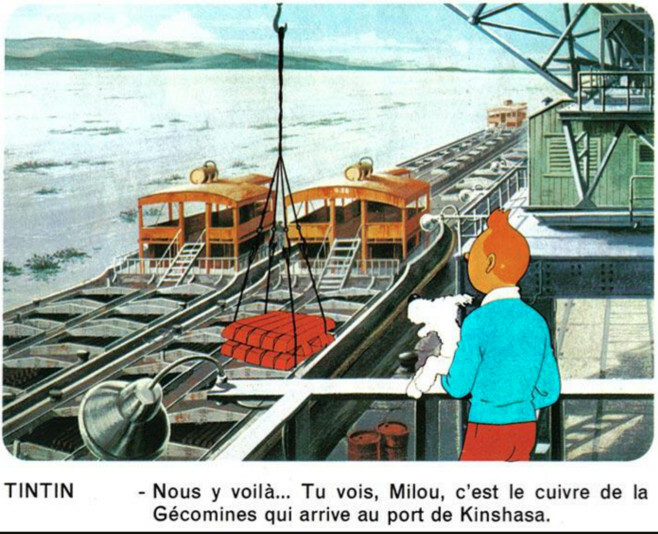 That’s also why Snowy has a more human mouth for instance (which you also saw in the very early Belvision animated series of Tintin). 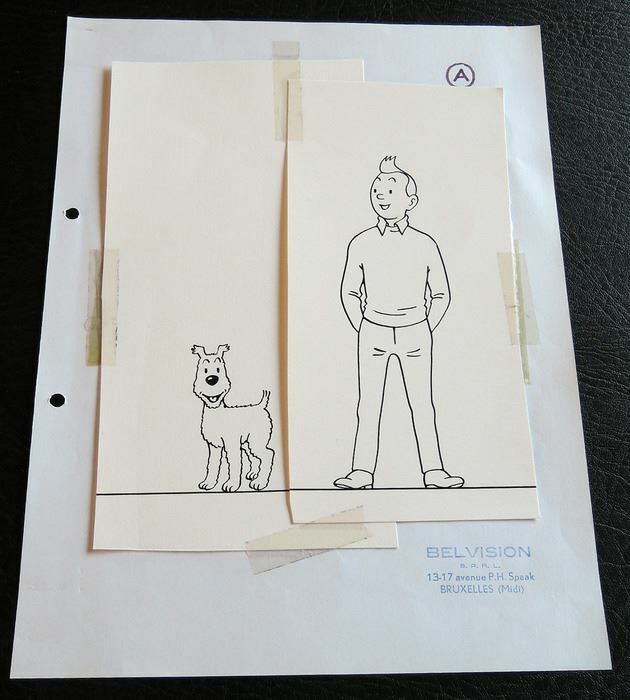 For those interested to know how Bob de Moor worked on this and other Tintin animated films, make sure to read Monographie BELVISION – tome 0 – Monographie Belvision – “Le Hollywood européen du dessin animé” , it holds a lot of extra artwork and information. 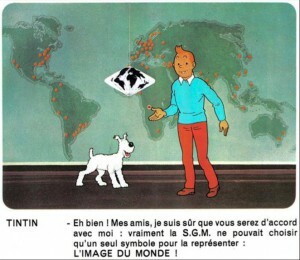 “Tintin and the Lake of Sharks” (French: “Tintin et le lac aux requins”) was directed by Raymond Leblanc and written by the Belgian comics creator Greg (Michel Regnier). 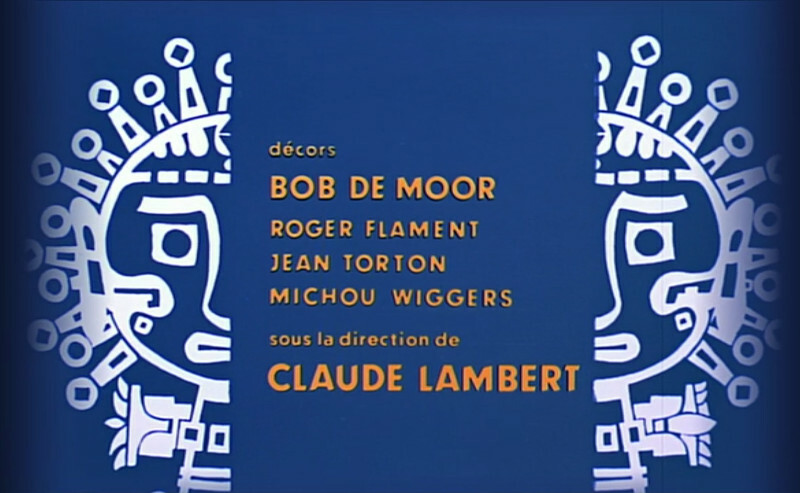 Bob de Moor supervised the film for the Studios Hergé. 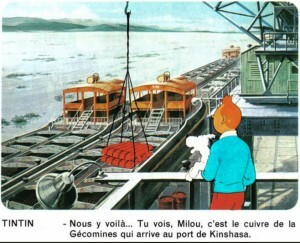 Note that this isn’t the first time that Greg wrote a scenario for Hergé. 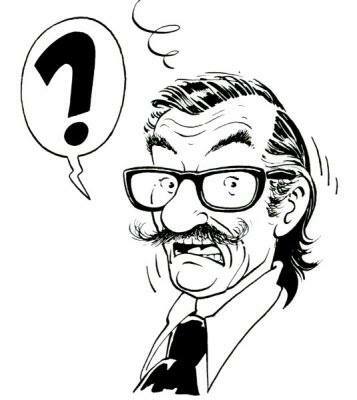 Earlier on he had written the scenario for the abandoned Tintin album “Thermozéro” which might now be released after all so it seems. 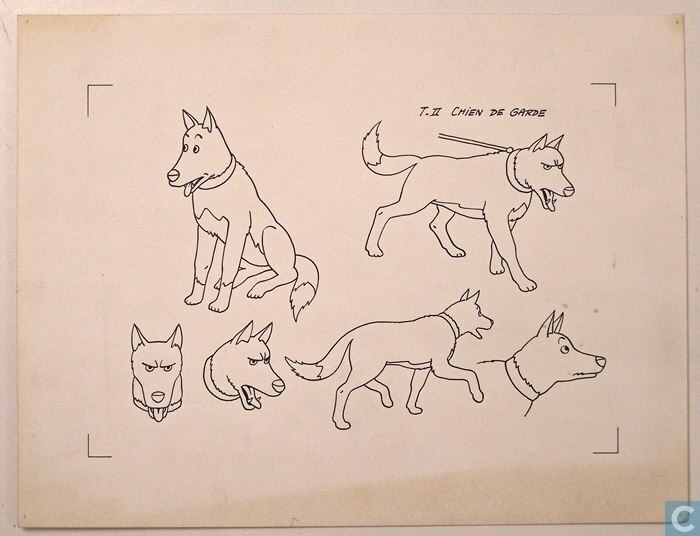 We unearthed this test drawing by Bob de Moor for the Tintin story “Tintin and the Lake of Sharks”. 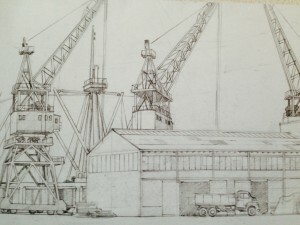 The drawing was completed around 1972. 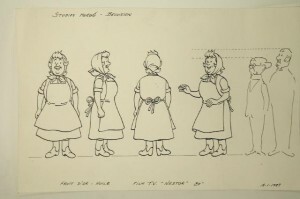 Note that the different way of drawing is due to the purpose of the drawing: to serve as a guideline for the animators at the Belvision studios. 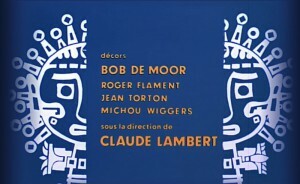 An album would be published too from the film, albeit in different versions, including a black & white version for which de Moor actually drew the backgrounds as well instead of using just the celluloid backgrounds as is the case in the commercially available album. Published in December 2013 this book is a must read for Bob de Moor fans. 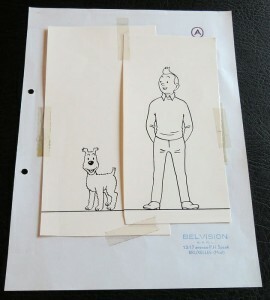 You’ll find crayon drawings by Bob for the decors of the Tintin SGM video/comic plus a lot more info on de Moor and his work for the Belvision studios. 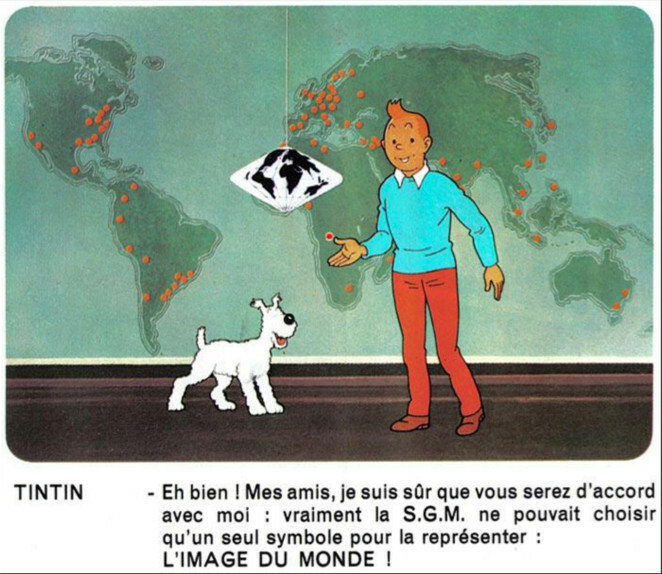 Written by Daniel Couvreur in a rather tongue in cheek way – though it’s unclear whether this was intended – we have been laughing out loud throughout the reading of the chapter on the trouble the studios had to complete the Tintin animation series. 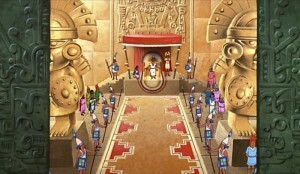 Bob de Moor is being portrayed in there as being the most reliable person. Which probably was also the case. Recommended reading – you can order the book right here!